through, or nesting in our area. The folks at Princeton University Press know exactly how to solve this problem. They published The Warbler Guide by Tom Stephenson and Scott Whittle, which is enormously helpful when identifying warblers. 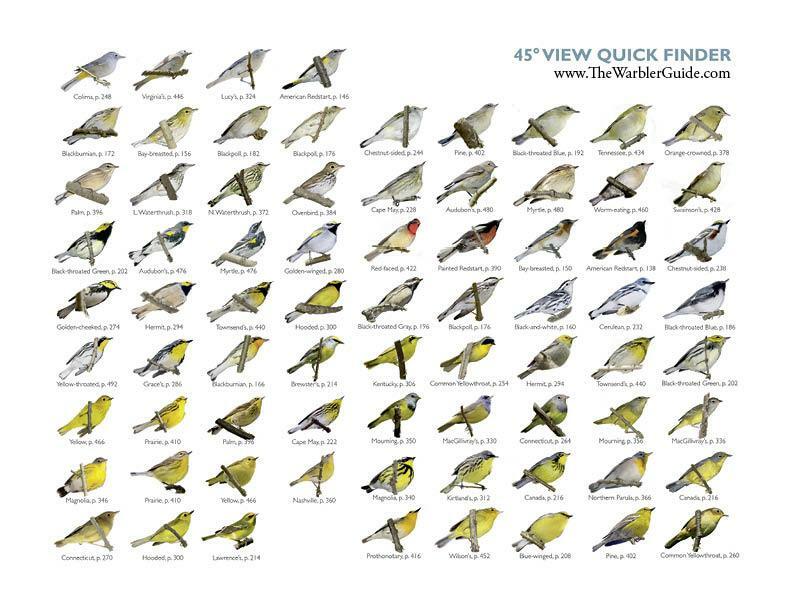 For quick references, they have a Quick Finder section which has excellent visuals of all the warbler species in the book on one page for easy comparison – spring and fall plumage, east and west species and 45 degree views. You can get free downloads of these in pdf form to print out and take with you in the field. It’s a handy thing to have with you during migration and when used with the book can make warbler ID a breeze.